Returning team members familiar with the program can register at the links below. We prefer that new team members start at the beginning of a new season but realize that is not always possible. We are open to those with prior rowing experience to jump right into practices. Rowers with no previous rowing experience are required to attend and complete a learn-to-row season. Please check the link below for your next opportunity to take an introductory class at CBRC. Please contact Coach Jim Bertolini to discuss your experience and options for best fit prior to registering. Athletes may pursue sweep rowing, sculling, or a mix of both disciplines. Athletes may also choose the amount of practice days they wish to pay for per season, either three or four+ (unlimited) practices per week. Tuesdays - Sweep emphasis practice. Thursday - Sweep emphasis practice. Saturdays - All team practice. Monday - Sculling emphasis practice. Wednesday - Sculling emphasis practice. Athletes may choose any practices during the week for their three or five days. They are free to choose sweep, sculling, or a mix, to best fit their interest and availability. We hope this flexibility allows athletes to become well rounded in both rowing disciplines and leads to increased enjoyment and skill development. Weekday practices are 5:30 to 7:00 AM, and Saturday practices are 6:30 to 8:30 AM. Practices are held rain or shine at the CBRC boathouse. Weekday access to the park is through the rear gate along N. Thorne Lane. Weekend access is usually through the main gate to the park though during the winter access through the rear gate may be necessary. Athletes should arrive on time and be ready to row on the water. Efficient preparations for practices are appreciated by the coaches. Faster prep means more water time and timely returns to the docks. We try to have boats back to the docks at 6:55 AM and most athletes depart by 7:05 AM. Athletes are encouraged to have a set of indoor athletic clothing in case of bad weather; most importantly a set of athletic shoes with a closed heel for use on the rowing machines. Locker room and shower facilities are available for those participants needing to head directly from practice to work. Please consult with one of the coaches regarding proper use of the facilities and lock-up of the boathouse. Current Season - Fall - August through October. Fall Season - August through October. Winter Training Season - November through January. Spring - February through April. Summer - May through July. Please visit our Calendar Page for other key dates in the current rowing season. Annual dues are $50. Collected at the beginning of Spring Season in February. Practice costs: coaches pay, payroll taxes, launch gas, repair costs, etc. Racing fees, trailering fees, park fees, coaches regatta pay, etc. Costs associated with personal travel to regattas, hotels, meals, etc. Annual USRowing membership ($65) is required for participation (see below). "Yes, please accept my donation of $50.00"
"Yes, please accept my donation of $100.00"
Payments may be made in full by credit card, check or by installment. See below and our registration page for more details. Each rower is required to register online before participating in a rowing season. Athletes will also need to have completed an online USRowing waiver and received a member number to complete registration with CBRC. Additionally, we have a uniform requirement for athlete participation in racing. For information on how to obtain a US Rowing member number please use the information found here. 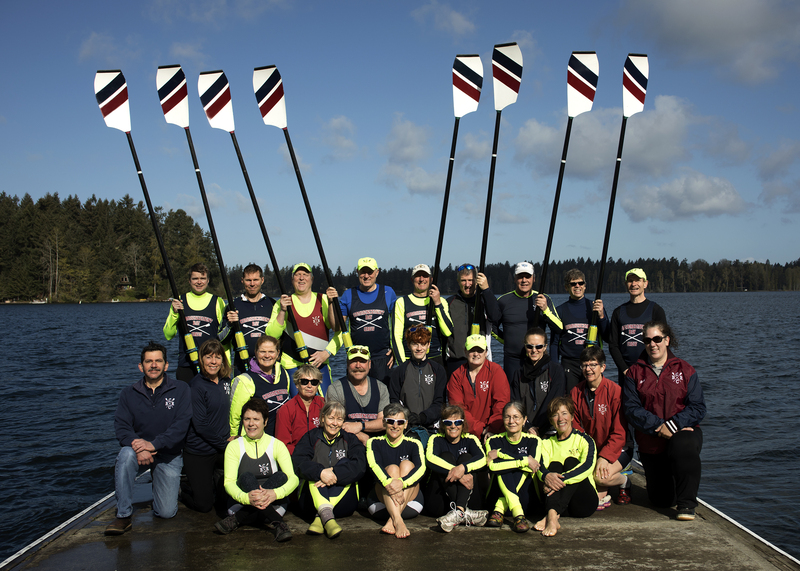 A USRowing membership is required for participation in rowing at CBRC. A "Championship Membership" ($65.00) is required. US Rowing memberships are good for one year from month of purchase. Volunteering is essential to the success of all of our programs at CBRC. Volunteering for at least one task per month. OR, by volunteering on a committee. Registration is required for all athletes participating in rowing at CBRC. All Masters team athletes wishing to race are required to purchase the minimum racing uniform. Older CBRC uniforms can be subsituted but we encourage the purchase of the current uniform. All other clothing items can be purchased as desired. Team supporters are welcome to purchase items from the casual wear listed, as well. Complete information and the link to our team clothing store can be found here.